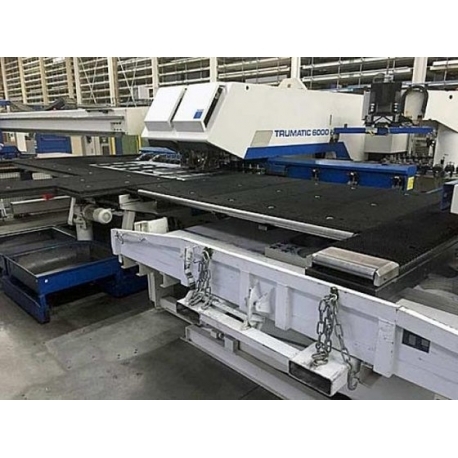 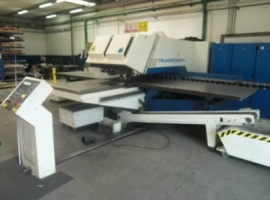 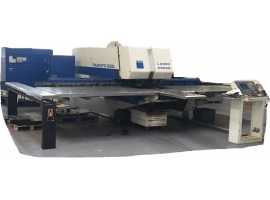 Punch Laser Machine Trumpf Trumatic 6000 L used machine Working range: 2585x1650, punching force: 220kN, laser unit Trumpf TLF 3200TM, operating hours laser: approx. 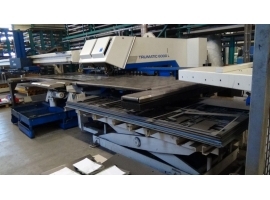 40000h, equipment: i. a. brush tables, Sheetmaster, TrumaGrip, TrumaSort, TrumaTool, HZP. 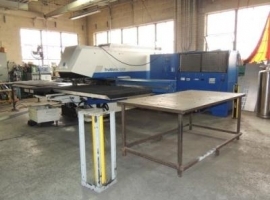 Control: Siemens Sinumerik 840 D.